“There’s something about commuting by water that gives you a really unique perspective on where you are,” said Janis Johnson. It's no secret commuting in the San Francisco Bay Area is as difficult as it gets. 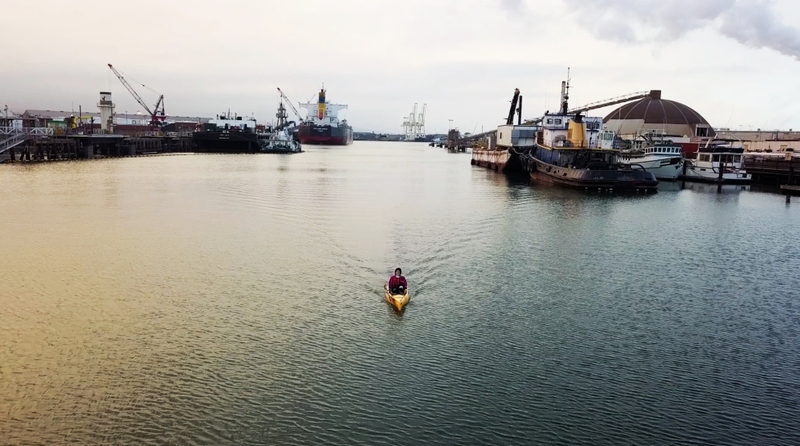 But Richmond resident Janis Johnson has found a unique way to commute to work: she kayaks. Johnson lives on board a 42-foot boat in Marina Bay only 2.25 miles away from her job at KKMI, a boat repair and maintenance yard. A couple of times a week, she’ll wake up a little earlier than usual, prepare her kayak and make her way down the Harbor Channel at a pace of about 15 minutes per mile. When she doesn’t take her kayak, Skedaddle, out into the water, Johnson takes her bike to work. It only takes about 10 minutes. Despite the fact that it takes Johnson almost three times as long to get to work by kayak, she says the experience on the water in the early morning is worth it. It’s not only thrilling to get away from the usual traffic found in the Bay Area but Johnson says taking a slower paced commute to work allows for more peaceful and intimate moments.